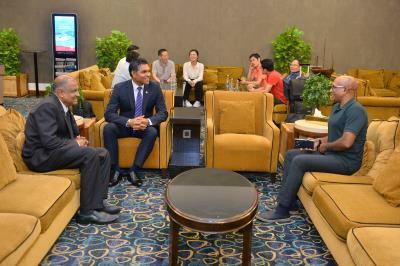 At the invitation of the Maldives Marketing & Public Relations Corporation, The Vice President, Faisal Naseem has left Male’ to attend the Internationale Tourismus-Börse to be held in Berlin from 06-10 March 2019. The Vice President will be participating as a head of the delegation to ITB Berlin. The tourism exhibition Internationale Tourismus-Börse Berlin 2019 is a B2B platform par excellence - an opportunity to meet with industry partners and do business. For other visitors tourism exhibition offers an opportunity to discover fascinating destinations all over the world.